If you are in the process of renovating your house or adding some improvements to it, one of the choice that you'll probably think of is having a stamped concrete. But why? It actually has the characteristic that can resemble other building materials like bricks, stones and even slate which makes it more less expensive. And since this becomes one of the most chosen services above the rest, we made sure that our professional team in Concrete Contractors Cincinnati will be able to cater to all your concrete stamping needs. 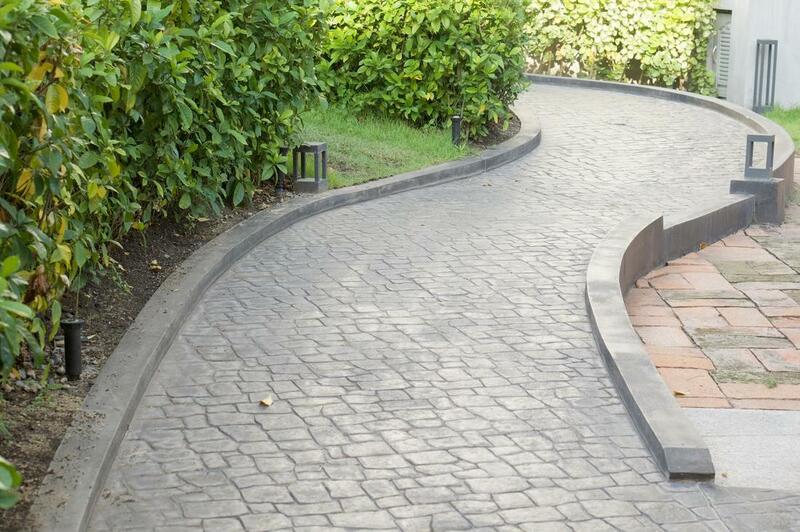 Whether your planning to have this in your patios, sidewalks, driveways, or steps, we can give you a definite assurance that we have the competence and ability in helping you out! Concrete stamping is one thing that our experienced masons and contractors can pull off better than what you can imagine. So the next time that you'll be planning of any home improvement, make sure that you have concrete stamping from Concrete Contractors Cincinnati in the list. The same with concrete patio, stamped concrete has a lot of things to offer for those individuals who wanted an affordable update in their patio, driveways or to any part of their house. Stamped concrete offers a wide variety of pattern and color options so there is really no way for you to settle in one color combination. It also has an excellent performance and longevity that will serve you for many years to come. Concrete Contractors Cincinnati also considers concrete stamping as one of the fastest services that can be installed in your house. Meaning, it requires less labor than the rest of the services. Your property will be out of commission for less time, and you can get your life back to normal quicker than you can imagine. Also, if your particular of keeping your home maintenance to a minimum, concrete stamping is a wise choice. You can just sweep all the specks of dirt and debris off and you're good! Now that you've reached our website, you can give yourself a favor by using our professional concrete service for that concrete stamping plans you have in mind. You wouldn't want to carry the frustration after you opted to do the stamping yourself and failed in the first attempt. Additionally, you will not like it when your stamped concrete project will cause your property to decrease its value. Grab the opportunity of saving your money while adding something in your home that can be a sure win investment. You can take our word that we will take care of your concrete stamping plans! ​Being known as the number one concrete contracting company in Cincinnati, Ohio who provides the best concrete stamping service at a very affordable price, we help every homeowners dream of having a stamped concrete installed in their homes without changing their budget. We already showed our best to those who believed in our abilities before and we will not retreat on giving you the best concrete stamping service that you and your family are worthy to experience. Don't hesitate to give us a call today to learn more about our help options!